The highest quality 100% pure form of creatine proven by HPLC. No fillers. The only ingredient is 100% pure Creatine Monohydrate. 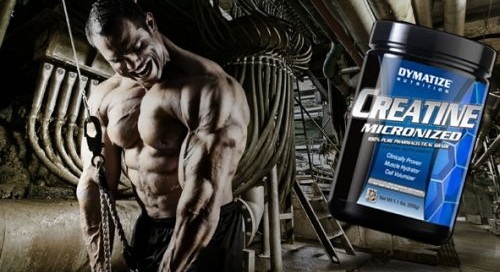 Dymatize Micronized Creatine is 100% pure form of creatine proven by HPLC. No fillers. The only ingredient is 100% pure Creatine Monohydrate. 100% of the pharmaceutical quality and purity creatine monohydrate of Dymatize supports muscles during high-intensity workouts such as weight training, running and other aerobic and anaerobic exercise. 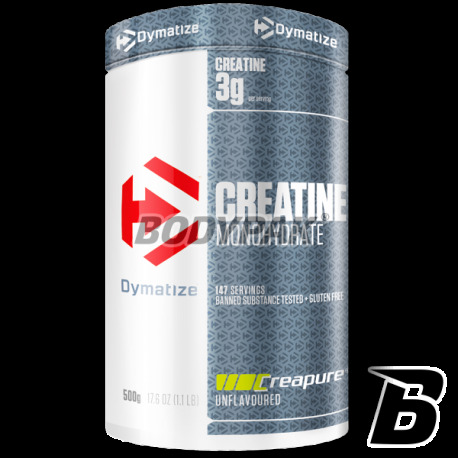 Dymatize company uses the highest quality, purest creatine. Dymatize's product is obtained using the most advanced technologies that meet international standards. Micronized Creatine increases muscle mass in a very short period of time, after the fourth day the results are definitely visible. Raising the level of phosphocreatine in the body causes rapid renewal of ATP, the main source of energy used during muscular work. 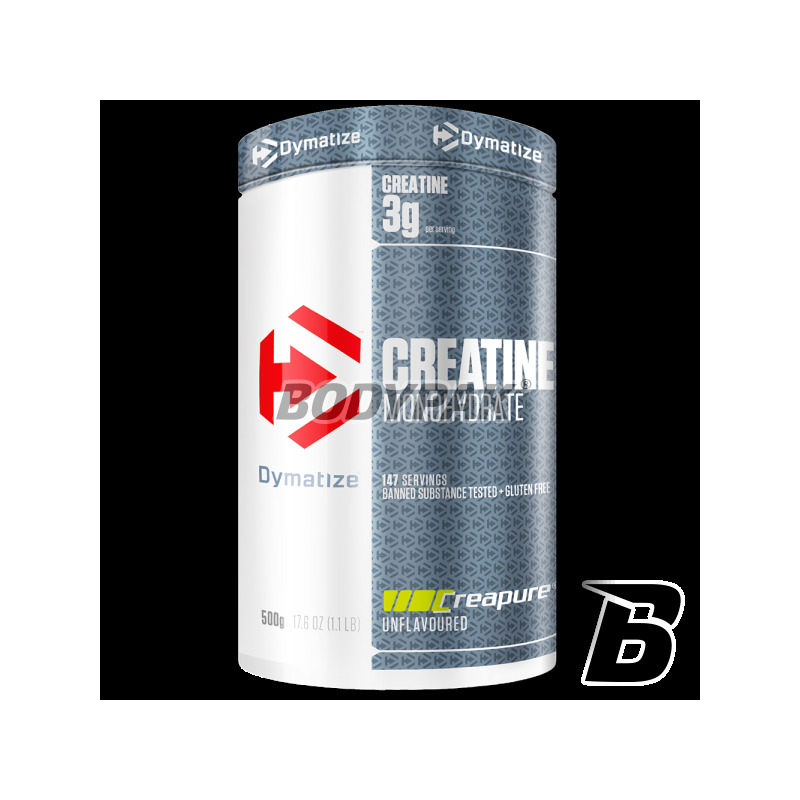 The use of Dymatize creatine can cause rapid increase in strength and lean muscle mass, acts anticatabolic and raises the efficiency of the muscles. Zawsze stosuję monohydrat od Universal, ale wziąłem raz tą dla odmiany. W mojej ocenie wypada bardzo dobrze, a z pewnością nie gorzej od innych i ciężko byłoby o lepszą. Ale to cecha Dymatize że jakość zawsze ma znaczenie. Tylko cena mogłaby być lżejsza. Mimo wszystko polecam. Jedna z lepszych kreatyn na rynku. Miałem kilka opakowań i jak na ten moment mnie nie zawiodła. Czysta krea.. w dodatku dobrej jakości. Każdy cykl: masa na plus - podobnie jak siła. Czysta forma kreatyny - dobra przyswajalność, dobra cena ! Extremely anabolic creatine monohydrate (CREAPURE) in powder! It supports fast growth of lean muscle mass and physical strength. Exhibits anti-catabolic effect. Top quality at a bargain price! 100% legal and safe way to quickly achieve the target.